2 Bedroom Flat For Sale in Stanmore for Asking Price £425,000. 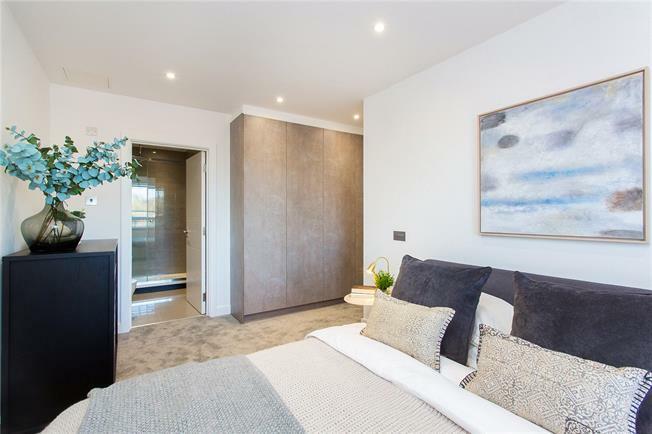 A perfect location for those who want transport and amenities on their doorstep, Buckingham House offers a First Floor 2-Bed/2-Bath apartment with an integrated fitted Kitchen, fully tiled Bathroom and Ensuite, underfloor heating and flooring throughout. Situated in the centre of Stanmore, Buckingham House is a new and existing development of 1, 2 & 3-Bedroom apartments. The scheme is ideal for young professionals commuting to central London with Stanmore's Jubilee line station within a few minutes walk.